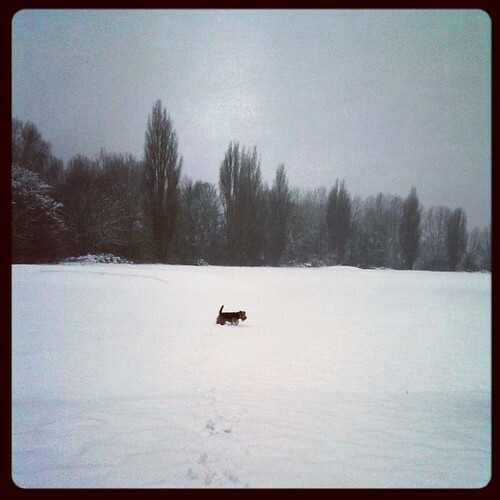 Edwyn’s Winter Wonderland, originally uploaded by Edwyn UK. This photo was taken on our mega trek this past Sunday after the first big snowfall of the winter. We did a big circular walk via Marsh Lane, Waterworks Golf Course (where this is taken) Hackney Marshes, past the Olympic Park and home. 2 1/2 hours in the snow! You can see how deep it was here, so beautiful! Hard to believe it was taken in London!